Auditions for Season 14 are over! Thank you to everyone who came out and auditioned for Season 14 of America's Got Talent. We have concluded our auditions for this year. Want an opportunity to audition for NEXT season? Online auditions will open soon. 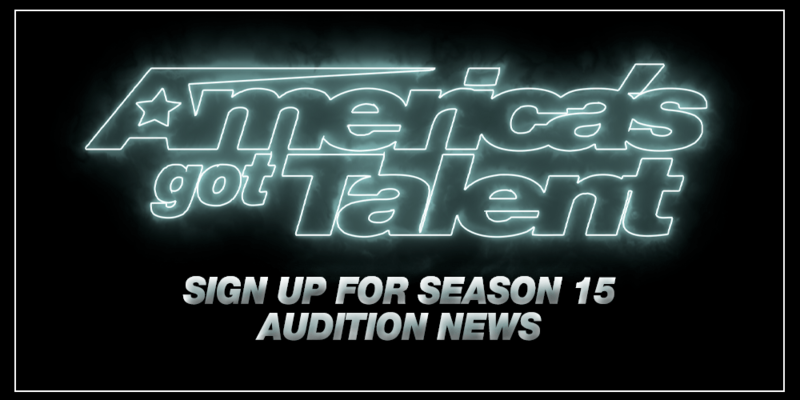 Sign up below to receive Audition Alerts so you can keep up to date on the latest AGT news and audition opportunities. We will be hitting the road again in the fall, and could be coming to a city near you! If you created an account last year, you will need to create a new one for Season 15. Get started below! Remember, if you are under 18 a parent should submit on your behalf.